Door Prize: Ecotech Marine MP40 QD to one lucky attendee! 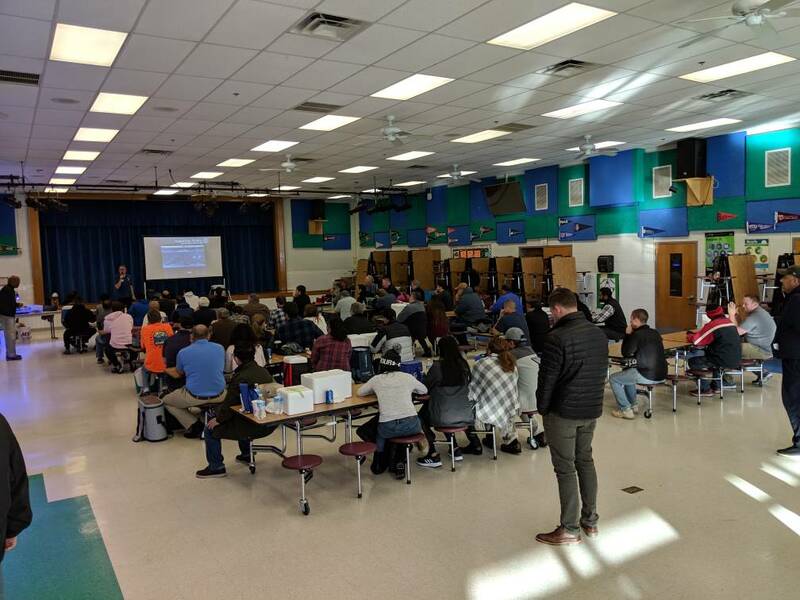 The Winter Meeting of The Washington Area Marine Aquarist Society (WAMAS) will be on Saturday, January 26, 2019, 1:00-5:00 p.m. at Joyce Kilmer Middle School, 8100 Wolftrap Road, Vienna, VA 22182. IN LECTURE HALL G101. Wayne Scott is a retired United States Army soldier who was severely wounded while serving in Iraq by a roadside bomb/improvised explosive device (IED). After two years of recovery in the hospital recovering and multiple surgeries, Wayne was inspired to take up marine aquarium keeping for the relaxation he felt being around fish tanks that helped him not only physically but also mentally. It has also allowed him to share what he has learned and to assist other wounded veterans like himself. Wayne started in the reef hobby in June 2009 and currently runs a 500-gallon mixed reef and operates a local aquarium fish store, What’s In Your Tank, located in Land O’ Lakes, Florida. This is also our annual meeting. The offices of Vice President and Secretary will be filled at this meeting (two year terms). Stay tuned for nominations and election process updates. $50 GCs donated by Avast Marine. Two chances to win. Combo-pack: 4 oz. PE Pellets and 1 oz. of PE Flakes containing PE Mysis from SaltwaterAquarium.com. Two chances to win. $50 gift certificates from Aquarium Depot. Three chances to win. Please come back to this thread for meeting updates (including raffle prize updates). Special thanks to theses sponsors. Please support them & say thanks next time you shop with them. You can find their website address by visiting their forum or the sponsor page on the WAMAS website. Watch this space for more information to be made available as it arrives! Two members so far have contacted me to sell frags for the meeting. If you'd like to set up a table to sell, please let me know so we can make sure we're ready for you. gives general guidelines for setting up to sell at the meeting. We'll have power for you and a spot on a table. Bump for the meeting on Saturday. One week from today! We've started posting the raffle prizes you can expect. We're still doing receipts for raffles, so you can get one raffle ticket for every $25 you've spent at a club sponsor since the last meeting. An email went out yesterday with the correct date for this meeting, but said it was "tomorrow" in the body of the email. The meeting is on Saturday, Jan 26. Bump for the annual meeting. Door prize is a Vortech MP40wqd!! Each person who comes to the meeting gets an entry for the Vortech. The drawing for it is at the beginning of the raffle drawings. Last year at the annual meeting Julian Sprung won it, so maybe this year a member will win it! Wayne Scott gives a great talk! Dr Mac and BRK will be there as well as 5 WAMAS members selling. Nice prizes and a Vortech MP40 for door prize! I promise not to talk too long for the annual report. I had dinner with Wayne last night. What a great guy with a great story. Come to the meeting and be inspired. Heads up folks. We have a situation and have to relocate the meeting. We're trying to keep it close by but haven't resolved the problem yet. Will keep everybody updated as the situation evolves. We're meeting at the cafeteria at Kilmer. Go to the front of the school. Sorry for all of the confusion today. It was my fault. In October our tentative schedule had the meeting planned for January 19, but we had to change it. We had already booked the room for the 19th, but after the date changed I forgot to re-book the room for the new date. 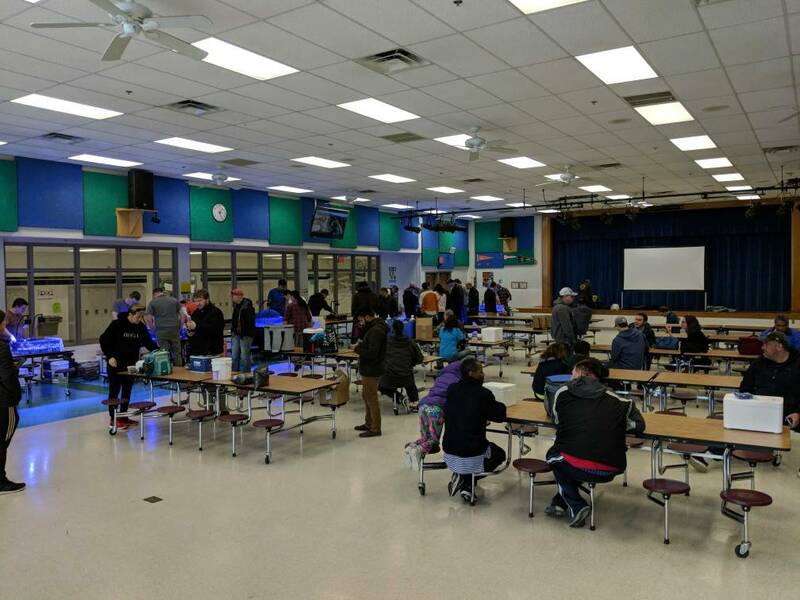 The staff at Kilmer Middle School did us a huge favor by letting us have the meeting there. The Model UN which was using the building today will be getting a donation from us. I apologize for the late start, but it all worked out.